Since the cost of college is rising each year, it takes careful planning and along with a rigorous budget planning routine to be successful. This can seem like a daunting task for anyone, but if you're organized, it is a relatively straightforward process. This article will go over the core college costs along with the different costs that come with the various types of schools. We will finish by going over strategies that students have recently begun to use to help save for college, and a few additional saving tips and tricks. What Factors go into Tuition Costs? 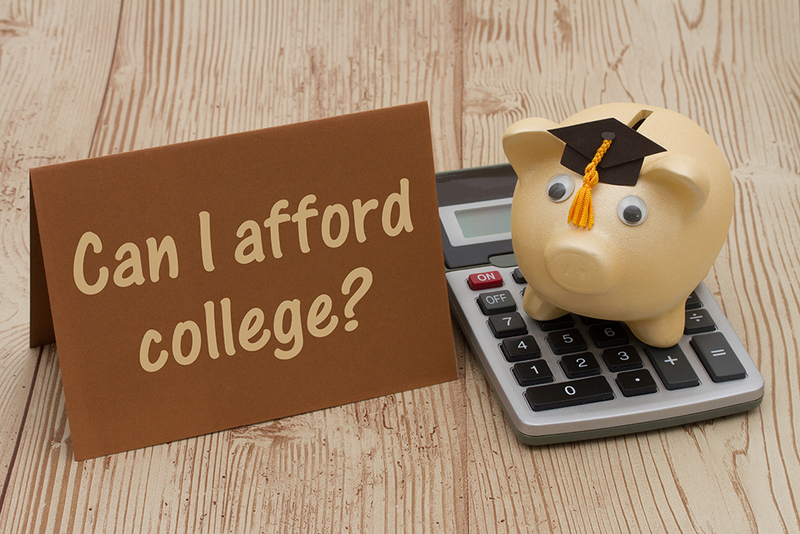 When your child is trying to decide on a college, several factors can make the price rise quickly. This can be frustrating when you're trying to get an accurate picture of the potential tuition costs. In State versus Out of State. One factor that comes into play when you're looking for a school is an in state college versus an out of state college. If you go to a college in your state, you will usually receive a tuition cut. Out of state colleges can charge thousands more for students. Income Level. A lot of colleges will offer grants or reduced tuition rates that are based on your income level. You do have to provide proof of your income status to be eligible. Length of Schooling. Some programs only last a year or two, and these are cheaper than some certification programs or bigger colleges. The shorter courses and many certification programs charge less for attendance, and they usually have waiting lists. Public or Private. Public schools are usually less expensive than private schools. A lot of this is because private schools are smaller, and they don't receive state funding as public colleges do. They have to charge higher tuition rates to make up for this. What Are The Core Costs of College Tuition? Your college tuition is divided up into five core categories. If you understand where your money will go, it'll be easier to save closer to the correct amount you'll need for your tuition. You will also be able to adjust this amount depending on your college choice. Each semester, you'll have to buy new books for your new courses, and these can be a large expense depending on what courses you're taking and how many books you're going to need. You may also need other course materials like lab supplies, a computer, and software. The average undergraduate student at a four-year college can expect to spend around $800 to $1,400 each semester on books and supplies alone. This area will take a little work for you to estimate accurately. You will have to take your monthly personal expenses like your cell phone bill, laundry, eating out, groceries, and other costs like credit card payments into account. An easy way to do this is to budget your expenses a few months in advance and take the average number. Room and board are one of the most expensive things that factor into your college tuition cost. Many colleges require that their students live on campus for at least two out of the four years they are planning to attend, and this can add up. A meal plan is also included in room and board, and this can easily add $1,000 to $2,000 onto the room and board bill depending on which plan you choose. The average cost of room and board at a four-year school is around $10,400 at a public school and around $11,900 at a private school. If you drive your own car, you'll have to purchase a parking pass each year to park on campus. There is also the cost of gas to figure out, and this largely depends on how many times you take a trip home, etc. If you choose to use public transportation, you'll have to add this into your monthly budget. The cost of your courses usually goes by credits. It fluctuates based on your degree, the number of credit hours you're taking each semester, and whether you're an in state or out of state student. If you drop or add classes, this will make the tuition costs fluctuate as well. In the past few years, students have been doing various things to cut the cost of their college expense. A lot of these are excellent options if you want to save money while you attend the college of your choice. Eat at Home. Student meal plans are very expensive, and if you can eat at home or pack a lunch it'll take your fees down. Select the smallest meal plan they have and you can see over a thousand dollars in price differences. Look for Scholarships. Even if you're already enrolled in school, keep looking for scholarships. If you apply for one and get it, it could cut down your costs, and it could even give you a stipend each semester. Rent Your Textbooks. Your books can easily run over $1,000 each semester, and if you have the option to rent them, do it. If you can't rent them from the college, you can rent them through sites like ecampus.com or Barnes and Noble. Make sure you have the correct edition and ISBN though. You might also be able to buy used textbooks as well. Student Checking and Savings Account. Many banks and credit unions cater to college students and they will offer things like free checking and savings accounts. This will help you avoid withdrawal fees, fund transfer fees, and a lower or no minimum amount limit. Student Discounts. Once you're enrolled in college, you'll get a student card that entitles you to discounts on things like movies, gym memberships, and stores. Take advantage of these, they'll start to add up. If you don't see an advertisement for a student discount, ask. The stores won't automatically apply this discount, and you won't know until you ask someone. Test Out. If you're able to test out of a course, do it. You should look into testing out of as many courses as possible. This can shorten your course time, or it could also allow you to take more courses so you can graduate faster. If you're in college and you're looking for a few programs you could possibly use to save money, there are a few available. You might have to apply for these programs, but if you make it in, they could take hundreds if not thousands off of your tuition costs. A residential advisor is a position you'll have to apply for and do an interview before you're accepted. Once you get the job, you'll be assigned to a floor in a dorm, and you act as the person the other residents go to with problems. You'll be expected to be around and available most of the time, so this is a time-consuming job. If you're not available, you have to leave a sign or let someone know where you are in case anyone needs you. There is also an extensive training process for this position, and this can include instruction in campus psychology and emergency procedures. This job comes with your own room, and your room and board are free because you're essentially on call all year when there are residents around. Many colleges are beginning to offer pipeline programs to add diversity to their school rosters. They typically offer students pre-college courses in high school or as early as middle school. Any student who completes a pipeline program is usually offered free or hugely discounted tuition to the college that hosted the program. Some jobs will reimburse you for part or all of your tuition costs. You'd have to work full time to be eligible for this, but you could still take a part time class load. You might also have to work for the company for a particular time before they begin this process, but it is possible. A lot of these companies will pay upwards of $100 each month toward your tuition costs, and this works out to around $1,200 each year. Start your college career at a two-year community college and then transfer to a four-year college. This will save you two years worth of tuition expenses, and there have been studies that have shown that people with an associate's degree are earning more than students with a bachelor's degree. If you don't mind the idea of decreasing your tuition costs while working for your school, a work study program might be an option to look into. You can work either on or off campus and one of the regulations states this must be at a job that is related to your degree. This could mean working at the front desk of your major's department, or you might be assigned a job off campus that is related to your major. They are also regulated to work around your school schedule. The point of this program is to reduce how much you ultimately end up borrowing in loans while giving you valuable hands-on training. However, funding is limited, and you have to reapply each semester. It could help you save in the long run though.